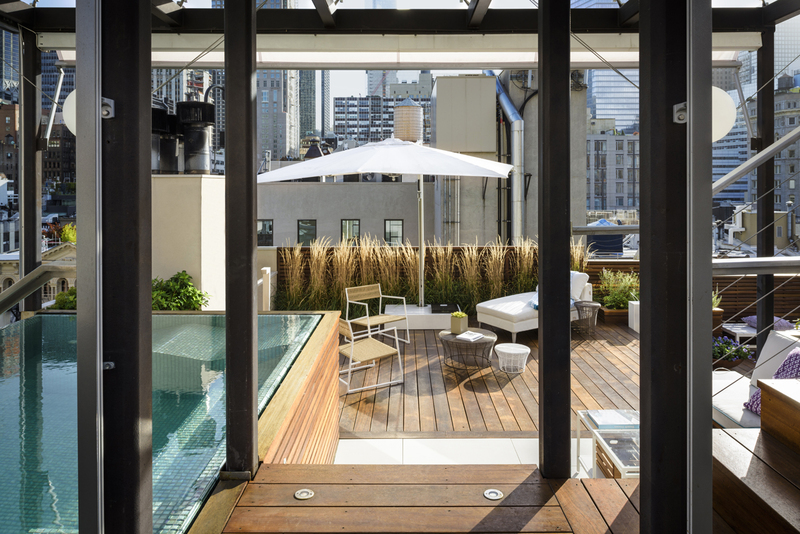 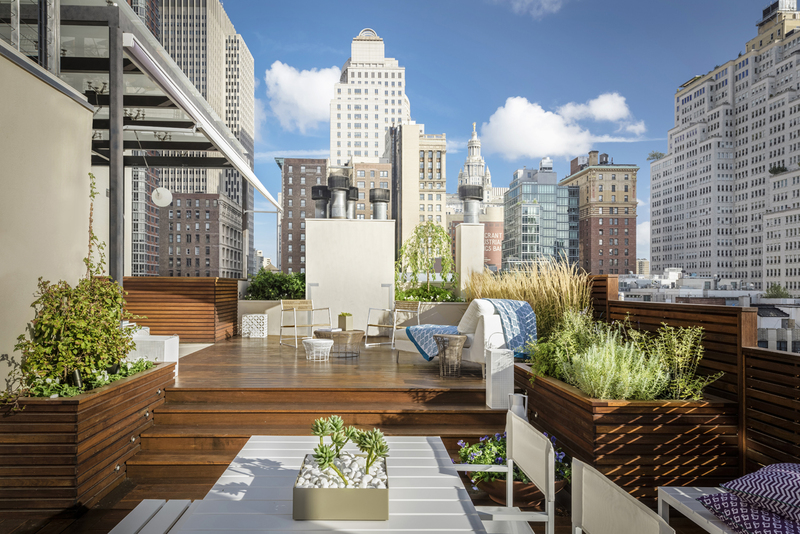 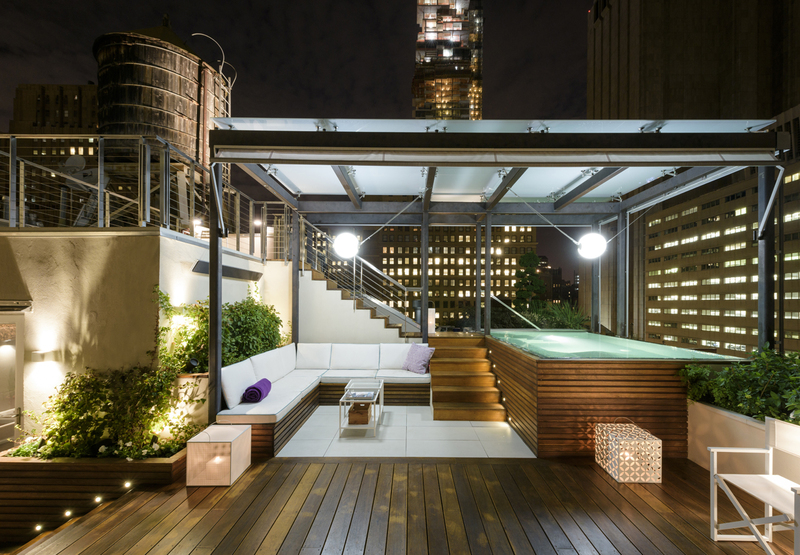 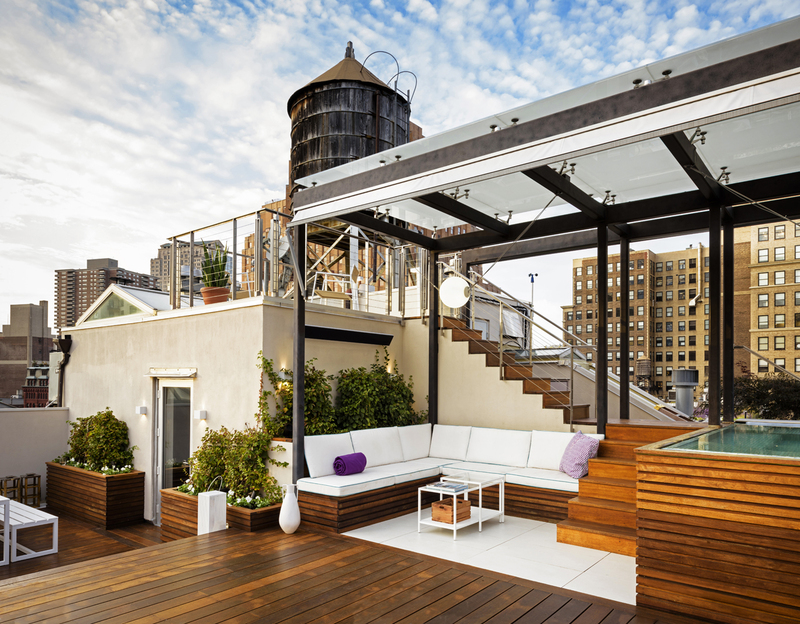 Located atop a Civil War era Italianate Renaissance loft building in TriBeCa this roof terrace contains a variety of recreational areas–dining, sunbathing, conversation, and most ambitiously, a large spa pool–for the pleasure of the owner and his many guests. 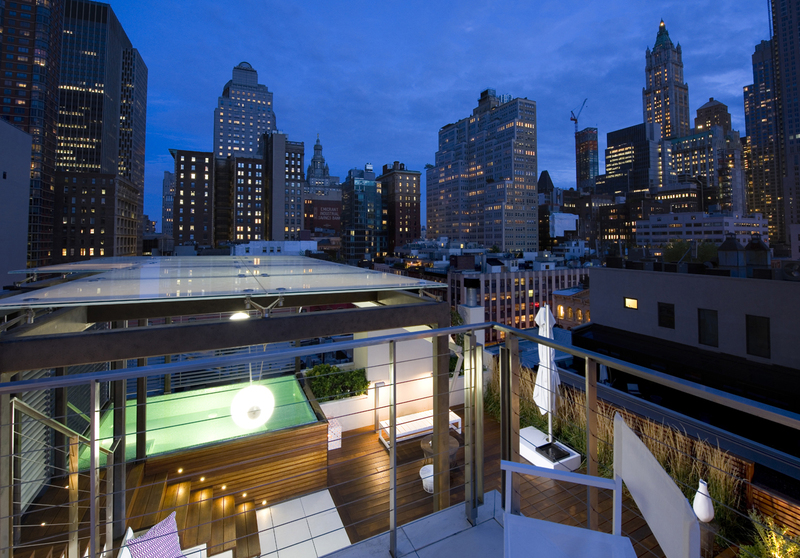 The terrace is equipped with a retractable awning, irrigation, outdoor lighting and an integrated music system. 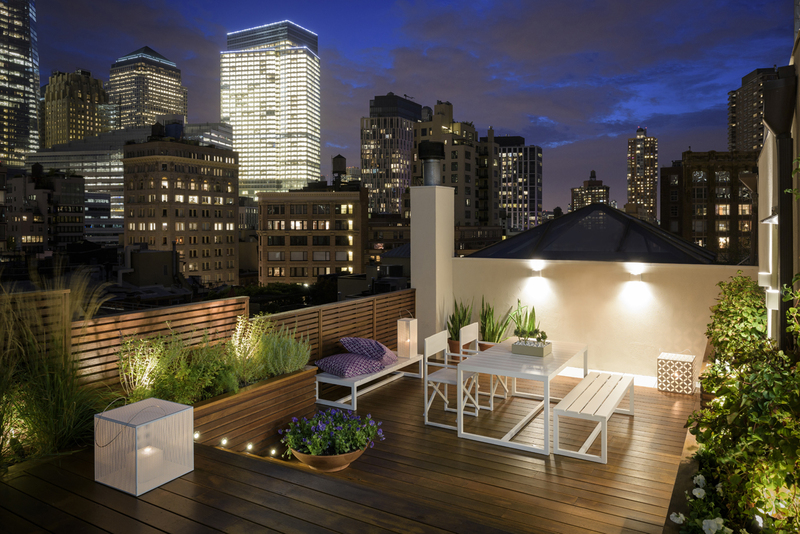 The terrace is not only visually stunning, but has supported impromptu concerts during which neighbors from surrounding buildings have gathered on their roofs to participate in the spectacle.